We are very excited and proud to announce . . .
Suzy Plantamura has joined us as an "Honorary" DT member! She will be with us for 4 months (unless we can convince her otherwise) starting with March! Suzy Plantamura was always an artist, but when she discovered the joy of photography and scrapbooking, it became her main passion. She has done freelance design work for me & my BIG ideas for four years and is a design team member for Sharon Soneff's lines and Maya Road. 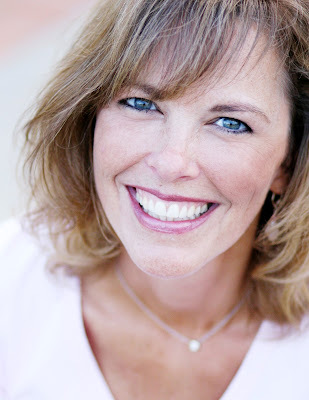 She was named a Memory Makers Master in 2006 and is often published in Memory Makers, CK and BHG. She is a stay at home mom to three children and lives in Laguna Niguel, CA. P.S. This is completely separate from the DT call. There are still 5 openings for the Design Team. This is a sneak peek - we will have the whole kit up this weekend (just gotta take a photo) but wanted to get this up on the blog! Here are our girls at Chloe's baptism! We may be a LiTtLe biased - but we think they are just the cutest! We asked them to pose for a photo and this is what they came up with all on their own! They are such characters! The email "issue" is resolved. You should all be getting confirmation emails now, if you don't, email me! I played with some of the new Sweet Bella coasters today. When I first saw them at CHA I knew they'd be fun to play with and I sure was right! You just pop out the "middles" and create your center and then pop them back in and you're all set! I created magnets with mine. For the top two I used some photos of my daughters. I painted the edges of the coasters and then I embellished the photos with some 7gypsies stickers and some Prima flowers.For the bottom two coasters I created some mini collages. I painted the outside rims of the coasters. 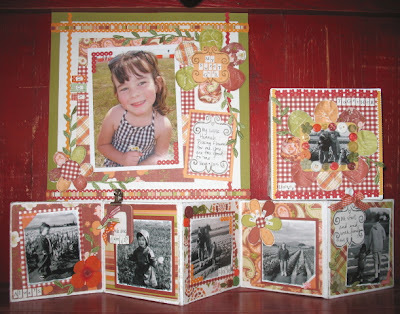 For the middles I used some of the "Sweet Cards" from Sweet Bella as the backgrounds. I cut out some little fairies from Foofala. 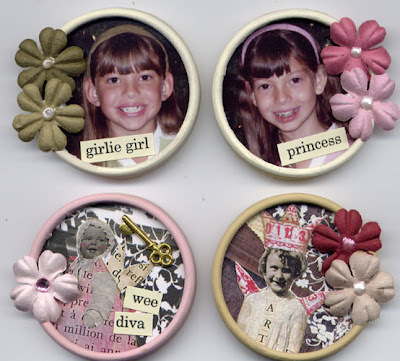 I also used embellishments from Prima and 7gypsies to decorate them. I had a blast with these and can't wait to create more! Anyone who knows me, knows I love stamps. I can't get enough of them. The one thing that I especially love is how versatile stamps are. You can use them over and over again plus you can get so many different looks with them. You can stamp them with a solid color. You can use markers to color them and make the image different colors. 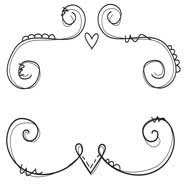 You can stamp it and then color it in with watercolors, chalks or colored pencils. 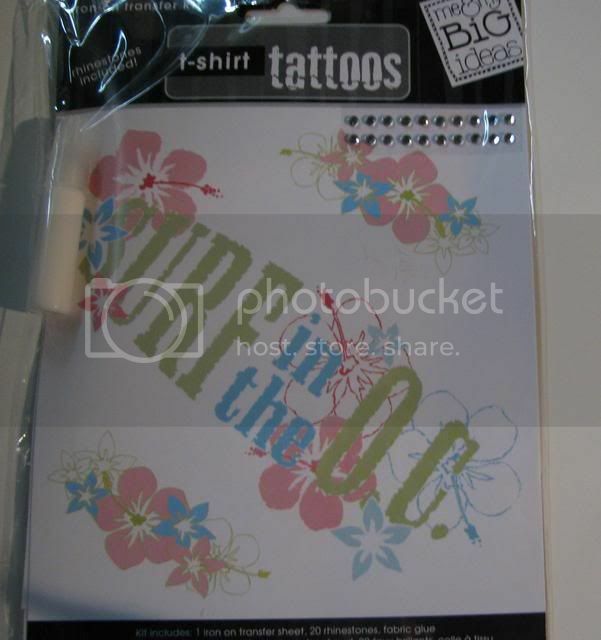 You can use embossing powder or stamp with bleach. I mean, the possibilites are endless when it comes to what you can do with just a single stamp! One thing I look for when buying stamps are stamp sets. It's amazing how many things you can do with one set and the value is incredible. Pick a stamp or two and you'll get one look. Then pick a different stamp or two or even three and get a totally different look, all from the same set of stamps. When I saw the "Scribbles, Hearts, and Stars" set from Autumn Leaves, I immediately fell in love. This set is so versatile. You get a bunch of cool looking hearts and stars. You can use these on so many different pages. Whether you're doing a page about an adult, a teenager, a boy or a girl, these stamps can work for practically any theme. paper using seven of the stamps from this set. I combined it with some chipboard from Fancy Pants and Rusty Pickle and my layout was done in no time. I even stamped on top of the large painted arrow to give it a little more "texture". I love that this page was so quick and easy to do because of the stamps. And if you're like most scrapbookers and are trying to get "caught up", you'll appreciate the ease and versatility of these stamps! What is the most unique/out of the ordinary item that you have ever used on a layout or project? We're hoping this will spark some fun new ideas for everyone. The winner will be drawn on Wednesday night, 2/21/07 and announced on our blog. APOLOGY UP FRONT . . . .
Our system is not kicking out emails to you after you order. If you need a copy of it immediately or just want to confirm it went through, please email me! We are working on the problem and hope to have it resolved shortly! Thank you for your patience! Update: This has been resolved! The winner of the Chloe's Birthday/Valentine's Day RAK is . . .
Chloe Lou chose the name and it is . . . . . .Lisa Keeffe!!! Congrats Lisa! Your goodies are on their way! Have you seen these stamps? They are so cool. They are clear acrylic stamps in an understated font style with both upper and lowercase alphabets included. 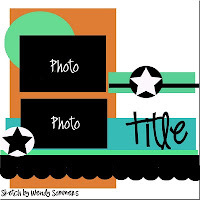 It is perfect for titles and there is a big frame included in the set that you can place the letters inside of for cool monograms. Had to share! The set is only $20 and can be found here. We have 3 in stock, so take a peek before they are gone. RAK - In Honor Of Chloe's 4th Birthday! Here's what you have to do ~ just take a quick read on our blog and post a comment. We'll draw a name on Tuesday, 2/13. So easy, huh? Happy Birthday my sweet Chloe Lou!!! Chloe Lou the Birthday Girl! A Million Memories is in search of five new design team members. If you're interested, read the information below. We will be accepting applications from February 10, 2007 through March 15, 2007. We will announce the five new designers once the designers have been contacted and accepted their posts. The design team position is a commitment of twelve (12) months. We are looking for five energetic, outgoing, talented, versatile and creative individuals who are team players for the term April 2007 – April 2008. Strong photography and digital skills are a plus, but not required. Interested applicants must register and post on the message boards at AMM. We want to get to know you and we want you to get to know us and our community. Submit 2 new (not previously posted or published) original LO's and at least one altered item. LO's can be 8.5x11 or 12x12. Altered items are considered anything that is not a page. All submissions should be emailed to info@amillionmemories.com. The commitment to A Million Memories’ design team is exclusive. Our designers cannot hold design team positions with competing kit clubs. Manufacturer design team appointments and teaching at your LSS are acceptable. Consistent and frequent message board participation is required. DT's are required to post at least four items per kit - 2-4 layouts, the altered item included in the kit (if there is one), and a card. Part of your job will be to advertise the kit club and store and not competing businesses. Actively participate in a monthly newsletter and blog posts. Actively participate in challenges, organizing contests and vendor advertising. Promote AMM whenever possible. Example, if you have a blog, there should be a link to AMM. We will in turn post your blog on our blog. WHAT DO OUR DESIGNERS RECEIVE? Our designers are given a free kit every other month containing the industry's latest and greatest products, plus extra supplemental products as compensation. You will receive special sponsored manufacturer's kits every 3-6 weeks. A link to your projects is sent directly to the sponsored manufacturers by AMM. This will give you exposure directly to manufacturers. There is a product discount as well - more detail on that will be provided to those who are selected for the team. Free product for special limited edition kits that you may (on occasion) design yourself from items in our store. 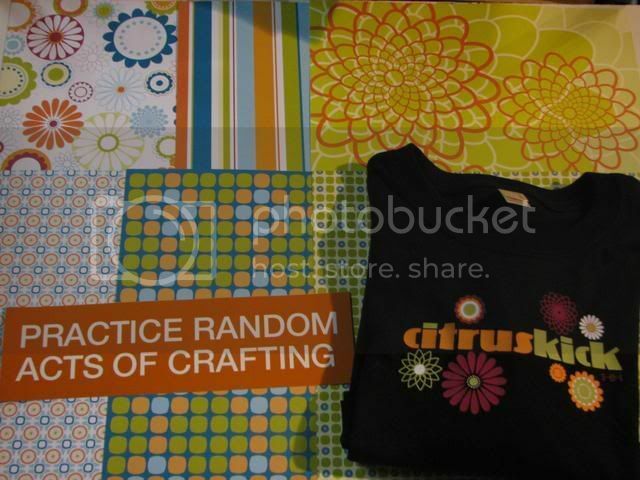 There are other perks - free passes to CHA, opportunity to design with our kits, etc. We have some exciting plans for 2007 which will bring a lot of exposure to AMM and consequently, to our designers. • 2 new (not previously posted or published) original LO's and at least one altered item. LO's can be 8.5x11 or 12x12. Altered items are considered anything that is not a page. 1) Why are you a good fit for AMM, and why are we a good fit for you? 2) Site commitment and participation: I'd like to see your thoughts with regard to message board and site participation. We are looking for designers who are team players and are committed to being involved and posting regularly on our message board. I'd love to see how you would go about increasing general participation on our message board. 3) Have you ever designed for another website/company? If so, who? 4) Are you currently designing for another website/Company? If so, who? 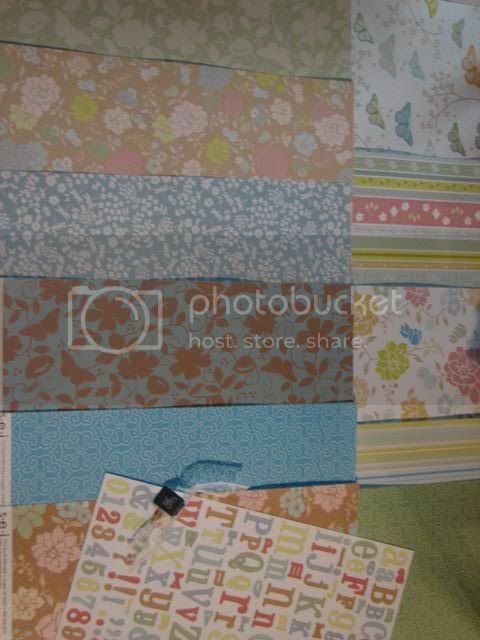 6) How long have you been a scrapbooker? 7) What is your favorite embellishment? Favorites manufacturer? If you have any comments or questions, please email us! And the winners of the CHA goodies giveaway are . . . .
My daughter, my husband and I pulled these while we were eating dinner tonight! We had SO much fun! This is the order they were pulled! Congratulations ladies! We will get your goodies out to you! Thank you to everyone who participated in this contest! Beautiful layouts! NEW DT designed kit . . . .coming soon! Our very own Katie Watson has designed a beautiful album and bonus page kit. It will be going up this weekend! Keep your eyes open for it - it is really too stinkin' cute! And then we stalked . . .
Wendy Reed! We must have ran into Wendy 100 times during CHA - and we loved each time. What a gal (not to mention a Kyra Sedgewick look a like) and her buddy, Leslie was hyserical too! It was great to meet you ladies in person finally! And Wendy - LOVE OUR PURSES! Yes, we were seeing if the tiara really fit! I am going through photos and here we are with Elsie! Her set-up was too cute! Her new line is ROCKIN'! We had this really cute stamp created for our store . . . we are going to start having them done every couple months to go with our monthly kits . . . but just wanted to try it out - have a look and it is only $4.50! It is acrylic and make s really cute frame or journaling spot. You can pick one up here. This photo is actual size! So . . .we have finally decided on a sign off . . . . When we sign off our emails, etc. we have been trying to think of something creative and cute to say! So my brother and sister-in-law thought they were hysterical while we were at CHA - they decided that instead of saying "party like a rock star" they would say party like a "scrap star" - so - I think we are gonna start using that on our sign offs?! Any thoughts? 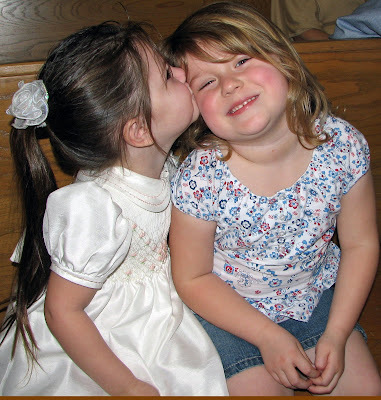 Funny, dumb, cute (and a word I am trying to teach my daughter not to say) - stupid? We have a ton of favorites from the show. The biggest highlights for us were definitely by Creative Imaginations. We have a soft spot for the Narratives lines and they added two new lines as well as adding onto the Cream and Black line. 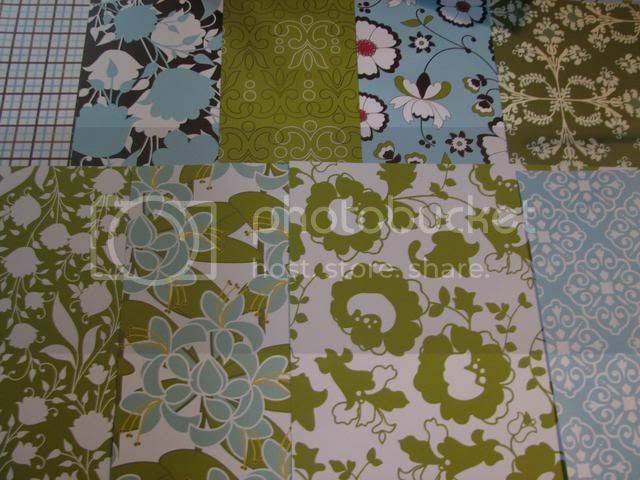 The new Wildberry line is just perfect for summer and it features some really pretty greenish blue papers. The BEST part of their new stuff was definitely the Bare Elements Brooke book. We can’t believe someone hasn’t done this already!!! It’s a chipboard book and each page has an insert that pulls out with chipboard tags in it. The tags are actually connected to the book as if it is a pocket door (so to speak). Coolest thing! They also have a princess castle chipboard book that we can’t wait to get our hands on! Creative Imaginations also has this darling new line coming out called Miss Elle. 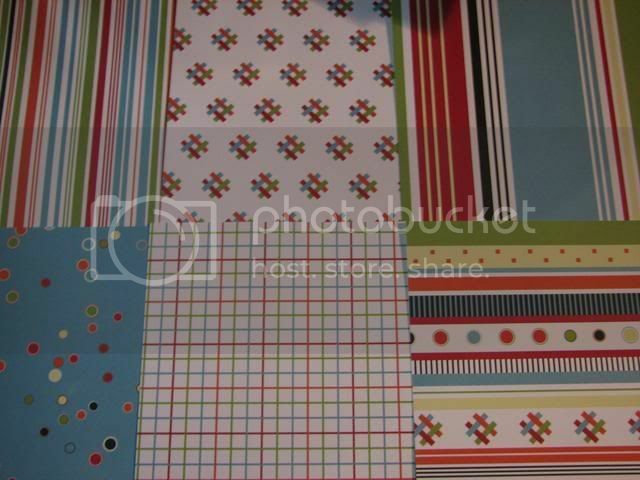 It features bright red, teal and lime green papers of cherries tablecloths and vintage style papers, as well as having a matching swatch book, chipboard pieces, epoxy stickers and coordinating cardstock. Super bright, cheery and perfect for warmer weather. Can’t wait to do a Brooke book with this line!!! We also picked up some super cute paper from the new All American collection that is perfect for 4th of July. Another HUGE highlight was the new KI Memories Love, Elsie line. These are the cutest papers and I think they will really help us get more of that “Elsie look” to our pages and projects. They just blew us away. The Roxie line has bright pink, red and turquoise papers and embellishments and they will be featured in our June kit when Elsie is a guest designer for A Million Memories. Give me an E, give me an L, give me an S, give me an I, give me an E what's that spell? Elsie! YAY!!! Junkitz has a new line by Teresa Collins that was TO DIE FOR gorgeous! It is called Extreme Boy. This features pirates, flames, stars, stripes, lots of really cool embellishments and some bling. We loved this line because when you first see it, it seems like it would be perfect just for boys, but when you look at the altered projects that they made with this line it is just so beautiful! They made this little mini album with these papers and it was gorgeous. One of the prettiest things we saw at the show. It reminded us of a lost treasure. There was also an incredible Wonder Woman layout . . .and seriously, who doesn't want to be Wonder Woman? Maya Road ~ ooh how we love them! They have a new little band aid style box with a small little scalloped album inside of it. Can’t wait to get our hands on that! We also picked up a little clutch style purse that is a chipboard album. Note to self ~ perfect for using the Teresa Collins Extreme Boy papers and embellies. Clocks were a big thing at the show and Maya Road has small chipboard clocks in lunch boxes. These even include the watch hands! We also picked up a new chipboard binder book that was an arrow! Soooo cute!!! One of my favorites in this book was the hand cut felt floral ribbon. Ooooh! Sooo pretty! What’s up with Heidi Swapp you say? We picked up some XL ghost shapes in the butterfly and wings styles. More journaling spots ~ we picked up some paper lined tabs and the cutest Days spots. They are labeled for each day of the week (cute with the Elsie lines!). We noticed a huge rage of birds and owls at the show. Couldn’t get enough of them, so we had to pick up the bird and butterflies masks by Heidi Swapp. The best part of the new Heidi Swapp stuff was that there are now more of the clear acrylic stamps and they are so cheap! We picked up a bunch of these! The one word stamps are still $1.99 and we picked up Enjoy, Fabulous, Today, Imagine and Smile. The next cool stamp thing was the stamp corners. Loved these! They have emotions, love and family and they are only $3.49! 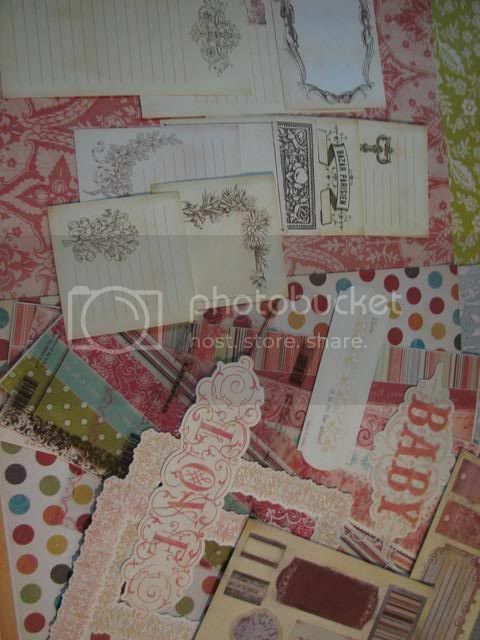 Last but not least, the famous journaling spots are now stamps and they are only $4.99! Awesome deals!!! 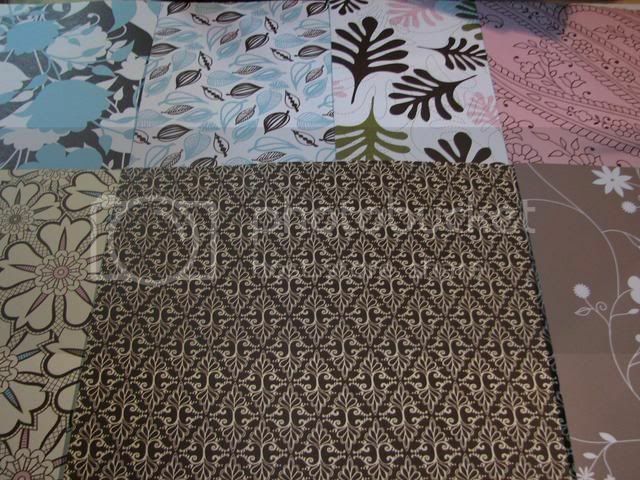 Making Memories has some great new papers called Funky Vintage. 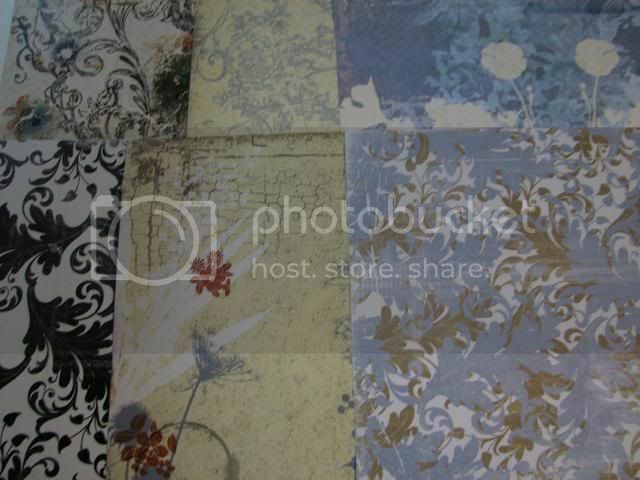 I love the style of these because you can make your layouts edgy or very antique-ish. The colors are bright and not too matchy together. They have some flocked paper and some great embellishments to go with this line. Melissa Frances is one of our favorites and did not disappoint at the show. Wow! We walked into this booth and wanted it all! 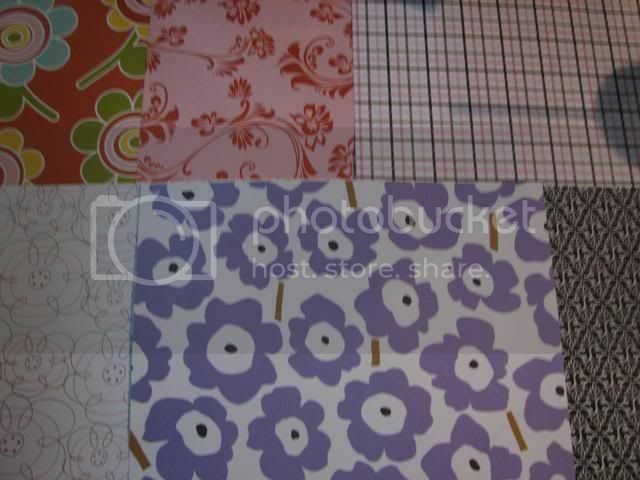 They have gorgeous new floral papers, some really cool chipboard books shaped like stars, Easter eggs and circles. They have some really pretty new embellishment boxes that come decorated or plain and their new ribbon is to die for! Wow! 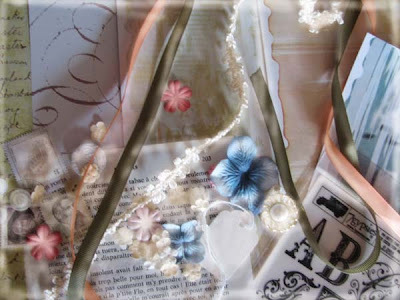 Each card includes rik-rak, velvet ribbon, lace and other goodies. We also had to pick up some of the fun new designer glitter!!! Autumn Leaves! Woo hoo! Love them! 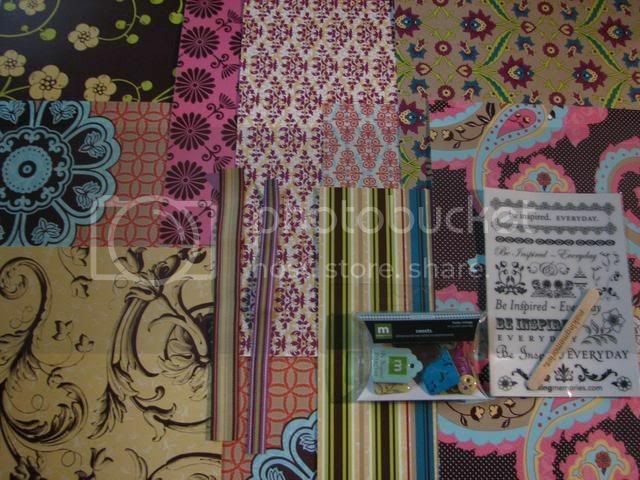 Rhonna Farrer has a new line called French Twist that includes buttons, ribbon, chipboard journaling spots and some beautiful rubons. The colors are a vibrant orange, green and pink and they are just beautiful! The new Foof-a-la line Bella, is very reminiscent of the Red, Black & Cream line but this one features forest green, red, gold and cream. Wow! These are just beautiful!!! 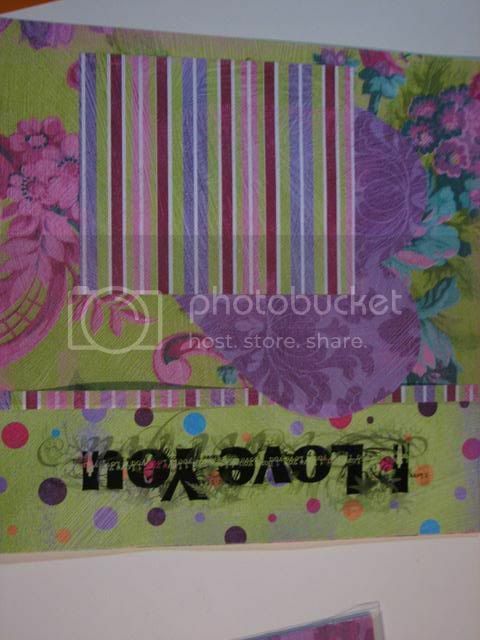 More new overlays that we had to pick up and ya gotta always love their acrylic stamps. They have some cool new Jenny Bowlin journaling spots called Friends and Family that I LOVE! They also have a new book coming out that is to be used in conjunction with the Foof-a-la line papers. Can’t wait to get my hands on that!!! Daisy D’s has always been a favorite of ours. The papers are always just so beautiful and this year they out-did themselves. Did you know that all of their papers are designed by men?! Wow! We happened to meet one of them and we had to tell him how much we loved them! Beacon Hill and Chasing Butterflies are just breathtaking. We really cannot tell you enough about how beautiful these lines are. We see alot of really late night scrap nights in our future! We came across a new manufacturer called Sweet Bella. They have a line of 12 papers that are very shabby-chic-meets-urban-edgy. 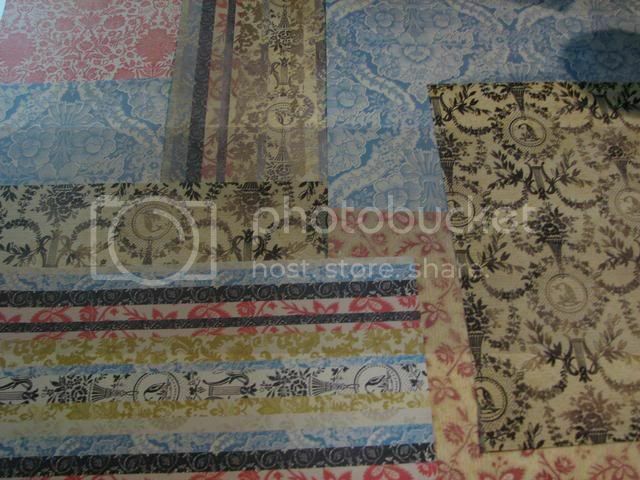 Really pretty patterns that are soft with a hint of boldness to them. We bought everything at this booth because it was just so beautiful! They have matching journaling spots, some cool little buttons that you can cover with paper, a set of alphabet tabs and some chipboard coasters. The owners of this company were so delightful. Two sisters that started the company together and they are both married to brothers. Too cute! Fancy Pants has some beautiful new stamp sets that are unbelievable. Remember the 12 x 12 chipboard sets that they came out with? Well, they now have 12 x 12 stamp sets that are outrageous!!!! Tons of stamps in these sets. They are so amazing. You have to actually buy a special big acrylic block to use these (never fear - we purchased some). Cannot WAIT to play with these!!! Well, there is tons more that we ordered at the show, but these were some of the biggest highlights for us. Check out our prize packages of goodies that have not yet been released and keep your eyes open for these amazing products as they come in. We could NOT be any more excited! Okay - we are back and ready to share! We are going to give away all of the goods we collected for you at CHA! These are all new products that have yet to hit stores! All you have to do is post a project on our site over the next week. We will put everyone's name into a bowl (yes, the old fashioned way) and on February 9th we will pull 15 names and each will get one of the fabulous giveaways below. The giveaways are from: SEI, My Mind's Eye, 7 Gypsies, American Crafts, Me and My Big Ideas, Daisy D's (project kit - 3), Imaginisce and a signed copy of "Imperfect Lives" and Making Memories. Good Luck!